Crafts for Non-Crafty Crafters | YAYOMG! The handmade life always looks so glamorous from a distance. Whether you’re binging DIY vids on Insta or YouTube or just scrolling through your favorite crafty Pinterest board, it’s easy to get that rush of adrenaline and an “I can do that!” attitude. So you gather up all the materials, spend a few hours in Michaels, and ride out that DIY buzz. It all seems so exciting and easy until you sit down to work on your project. That’s when things hit a wall. Maybe you’re not super artistic or you’re just kind of messy, but no matter how hard you try, your finished project never looks quite right. It’s so disappointing to drop the time, energy, and cash on crafts that will end up in the trash rather than hanging proudly in your bedroom. Forget about actually making things for other people as gifts – there’s just no way. We’ve always loved the idea of crafting, but aren’t actually that great at it, and we know we’re not alone. That’s what inspired us to put together a list of projects and kits you guys can easily tackle with fool-proof results. This is for all of you out there who love making things with your hands but can never quite seem to channel your inner-crafter. Once you’ve mastered everything in the book, you can use your skills to create fabulous birthday cards for all your friends, fun signs for your bedroom, and jot down the world’s most beautiful study notes. 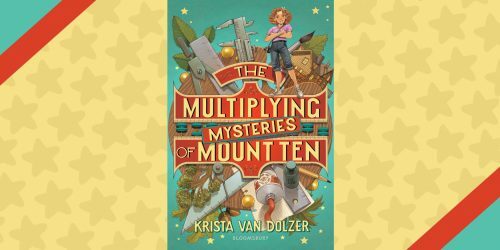 Klutz is great at making even the hardest projects totally approachable and are filled with a great sense of humor that will make you LOL. The best part? 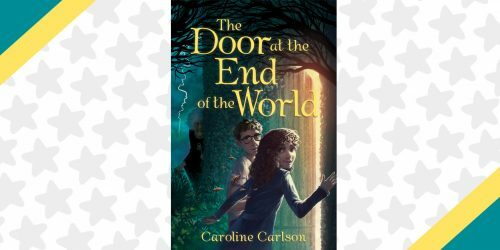 ALL of their books are focused on getting you crafting, journaling, science-ing, and overall awesome-ing. For super Science-y project, we really love the Grow Your Own Crystal Jewelry kit. 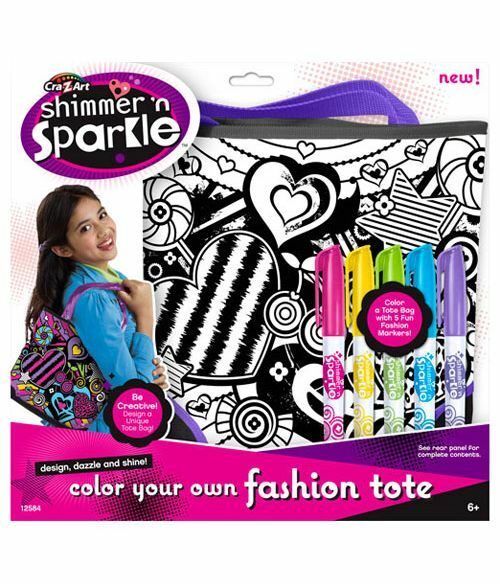 The “Color Your Own” and “Color Craze” products from Cra-Z-Art are a surefire way to totally rule craft time and become an ace accessorizer in the process. The projects in this line are all pre-made purses and bags that are just dying for you to unleash your colorful creativity on them. No sewing, gluing, or drawing required. 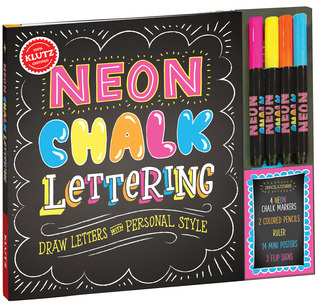 Just grab the 5 brightly colored markers (plus the hundreds you probably already have hoarded in your room) and and get started. If you can color in a coloring book, you can make yourself a totally glam accessory. There’s no right way to do it. Wear your new creation everywhere you go and prepare for the slew of incoming compliments! Tired from all that crafting? Try one of their Super Spa Salon products to give yourself a luxurious mani-pedi! You deserve it. We’ve already gushed endlessly about Znapeez!, so we’ll keep it short. Znapeez! 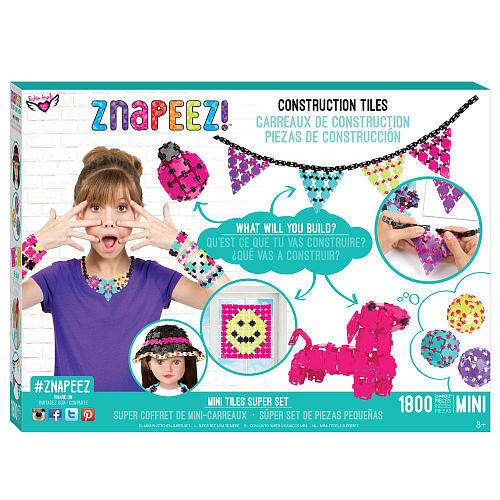 are brightly colored plastic pieces that ZNAP together to create basically anything you can dream up. Each kit comes with instructions and ideas you can follow along and create (like wall hangs, hairbows, and pencil toppers), or you can just whip up whatever your heart desires. (You can even create awesome accessories and clothing for your dolls.) They’re as easy to put together as LEGOs, but can be used to create wearable and hangable 3D creations. One of the best things about Znapeez! is being able to snap and un-snap them anytime you want, meaning if you want to create something new to match your room or decide you’re so over ladybugs, you can take apart what you created and make something new at any time. These other awesome Fashion Angels products will help you organize your craft supplies and bring your otherwise dull projects to life! Need something a little simpler to fulfill your crafting goals? The Paint By Sticker Kids series might be exactly what you need. Along the lines of a paint-by-number project, Paint By Sticker allows you to create fool-proof image worthy of a spot on your fridge. Just pick your image, find the stickers, and place them in the correct place on the page. (Hint: They’re numbered, you can’t mess it up!) A few minutes later you’ll have created a fiercely cool mosaic that’s ready to be framed. There’s no mess and no learning curve. The Zoo Animals book contains 10 projects inspired by your favorite animals – from elephants to giraffes and everything in between. If animals aren’t your thing, stay tuned later this year for two new releases, Dinosaurs and Sea Creatures! 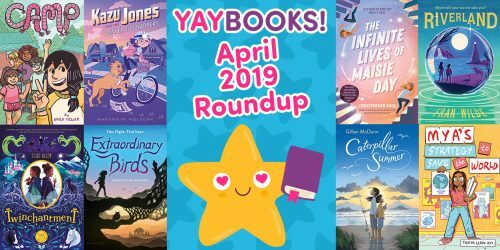 Even if you’re great at artsy stuff, these books are a great way to zone out after a stressful day or a pile of challenging homework. 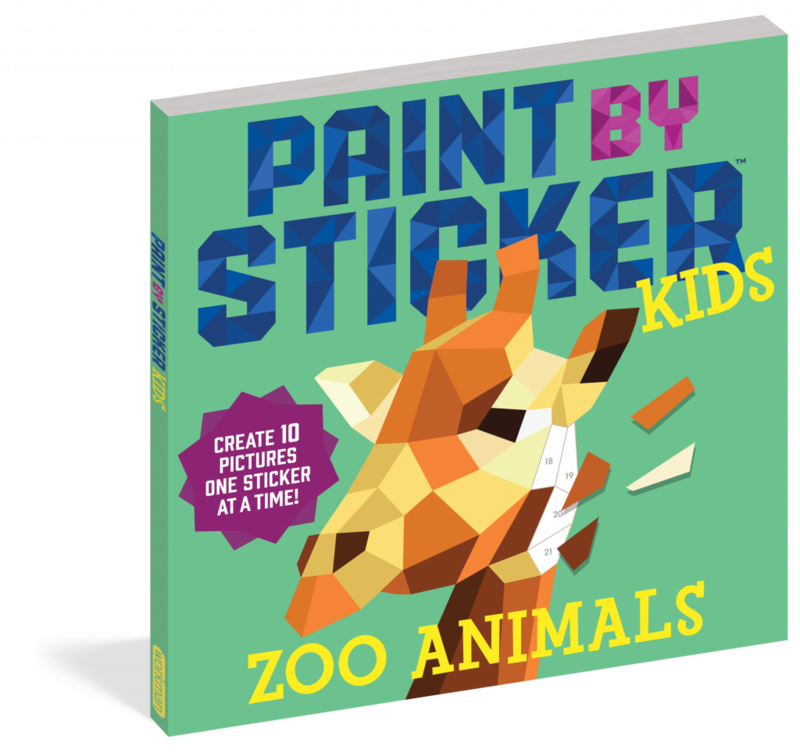 Those of you looking for more of a challenge – there are harder sticker paintings for you to ace in the all-ages Paint By Sticker books. Recreate an artistic masterpiece like the Mona Lisa or an intricate hot air balloon scene. The sticker paintings in these books are a bit harder, with smaller stickers and spaces to fill, but the outcome is totally worth it. Who even needs crafts when you’ve got stickers? Real printmaking is tough to master, but this Kid Made Modern kit manages to make it super accessible for someone who’s just starting out. 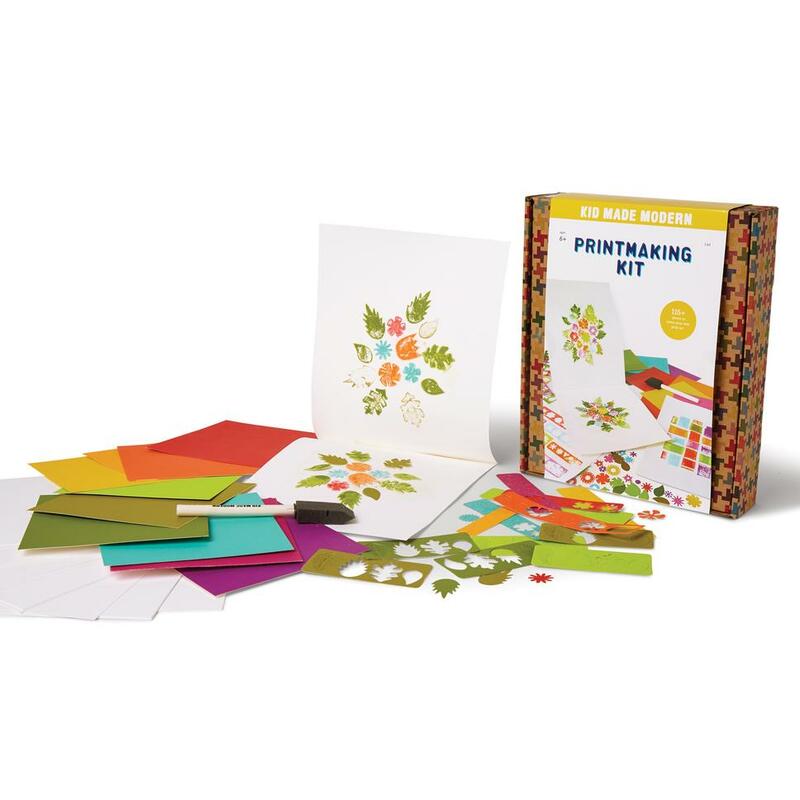 This Printmaking Kit gives you everything you need to create one of a kind of designs that you can use for prints and cards. Using the pre-cut flowers, leaves, and other nature-inspired shapes, you’ll be able to lay out a stunning design. Rather than using dyes or inks, you’ll use watercolor paper that’s easy to work with and gives your final product a lovely “painted” feel. The great think about hand printed cards and prints? They make for amazing, truly unique gifts! Once you’ve aced printmaking, try one of the other kits ranging from woven notebooks to wooden robots and pretty much anything else you can dream up. We know it’s the part you throw away, but don’t you just love how beautifully designed all of the Kid Made Modern packaging is? 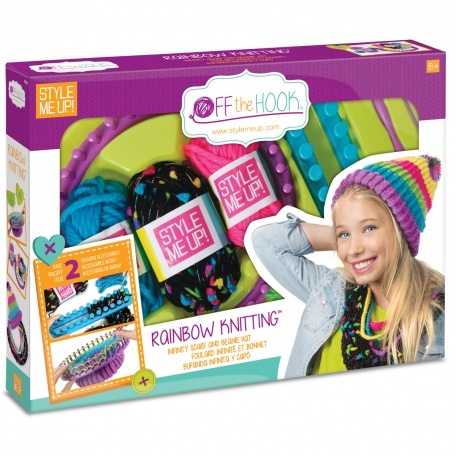 Off the Hook Rainbow Knitting from Style Me Up! 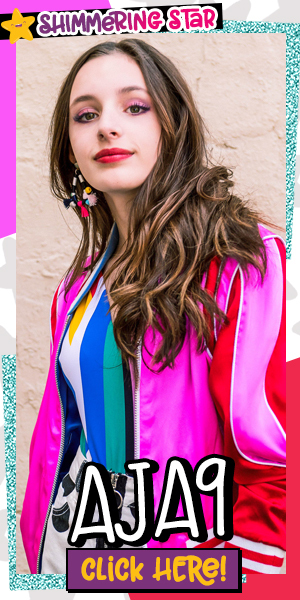 As you probably already know, we’re a little bit obsessed with Style Me Up! We loved how the i-Loom merged tech with friendship bracelet making, but what about those times you just want to put away the screens and get your craft on? That’s where the Off the Hook knitting kits come in! We chose this seriously cool Rainbow Knitting kit to feature, but there’s a ton of other equally fabulous knits for you to try. This kit comes with enough yarn for you to create a hat AND an infinity scarf – meaning you’ll look totally fierce once you’re done. This isn’t regular knitting that takes forever to do and even longer to master – the plastic looms and easy to understand instructions help you learn know to knit with ease. 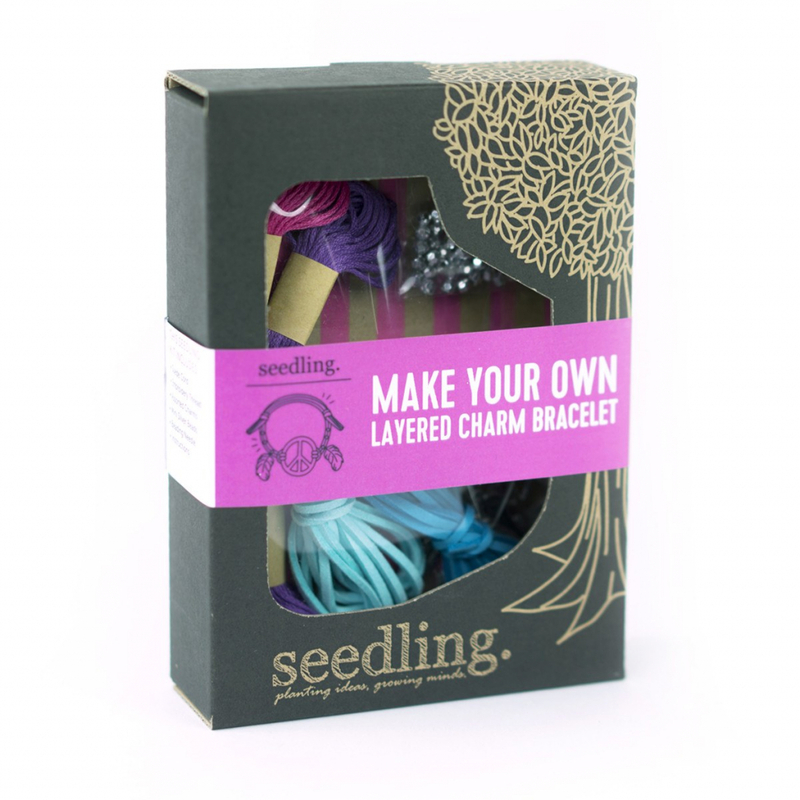 Make Your Own Layered Charm Bracelets from seedling. Put away the hot glue and the crayons, it’s time to make some bracelets! The Layered Charm Bracelets from Seedling provide you with everything you need to create something a step above an ordinary friendship bracelet. Using suede cord, beads, and charms, you’ll be able to design bracelets for you and your friends that truly stand out! Everyone at school is going to be dying to know where you got yours and how they can get one too. The great thing? Once you’ve learned how to make them using this kit, you can pick up thread, cord, and charms at any craft store to keep the momentum going. You can also easily tweak these designs to be lanyards and necklaces too. Can’t get enough of Seedling? Neither can we. 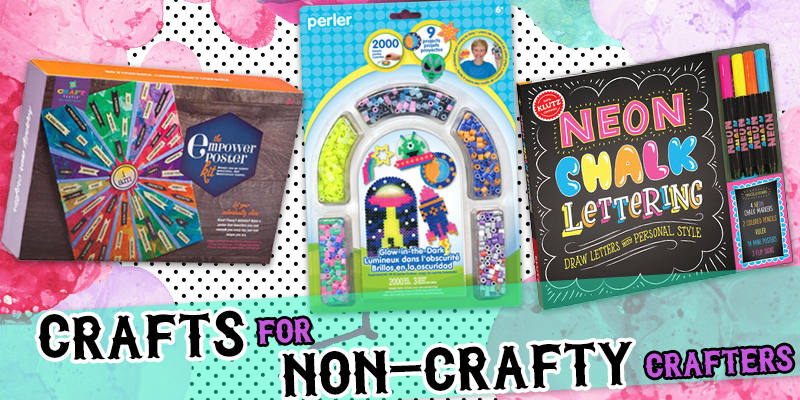 Here’s even more equally easy craft kits for you to obsess over. Dare to dream, little crafter! Vision boards and dream boards are a great way to express yourself and get inspired, but only when you can actually pull them off! Sometimes when you see dream boards on Pinterest and Insta, they’re so pretty it’s intimidating. That’s why you need one of these Dare to Dream Board kits! It takes out the hard stuff and makes vision boarding a total breeze. Just paint the wood boards, assemble them using adorable pink plastic screws, and get your dream on. Attach images with clothespins that you can paint or leave plain for that hand-crafted feel and dazzle it up with some hand-painted heart and star shapes. Once you’re done, hang it on your wall, snap a pic, and give everyone you know serious DIY-envy! The Craftivity line from Faber-Castell features a ton of other room decor projects that will help you transform your room from bland to glam! Feeling totally inspired from the previous project? 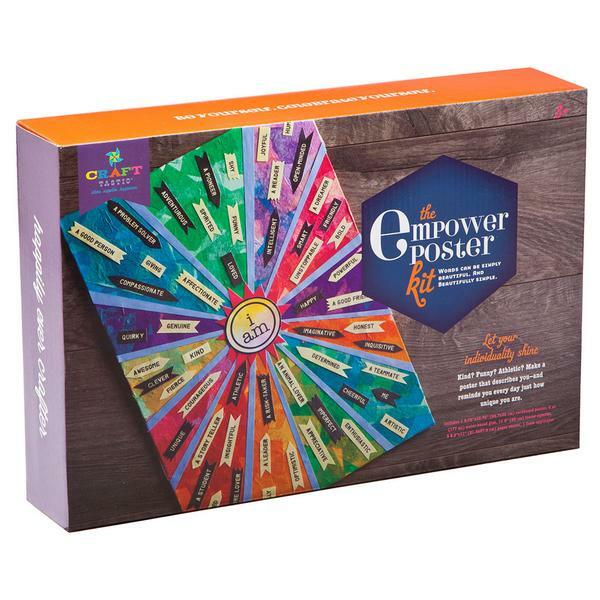 Keep that vibe going and let your individuality shine with this awesome Empower Poster Kit from Craft-tastic. Learn a decoupage technique that you can re-use on school projects and future DIYs. Then choose the words that best describe you/who you want to be. Are you a compassionate problem solver? Paste those words to your poster with pride! Do you want to remind yourself to be kind and a better team player? Paste those words on there too! There’s really no wrong way to do it. We just love how you can FEEL the girl power radiating off this kit before you even open it! Once you’ve hung this up on your way, let that girl power shine and use your empower poster experience to help you design protest signs and other inspirational posters to help you get your voice heard! Locker and Room Décor Set from Pom Pom Wow! Is your locker totally boring? It’s time to change that! This easy to use kit will help you decorate your locker, your room, or pretty much any other area in a snap. Just stick, pull, and watch your pom poms blossom right before your eyes. They’ll add some serious flair and color to your otherwise dull space. In addition to 70 pom poms, this Locker and Room Décor Set comes with a mirror, cards, magnets and other accessories. You’ll be able to truly transform your locker into more than just a place to stash your books – it’ll become a place you actually love to visit and show off! Everyone who walks by your locker will think you’re great at crafts which will give you the confidence to actually master them. That’s how it works, right? There’s a ton of other products in the Pom Pom Wow! series, including a Decoration Station that’ll truly help you pom pom your world! We had to add Perler Beads to the list because we’ve been obsessed with them since we were kids. They’re the ultimate craft for the non-crafty because it’s basically impossible to mess them up. Their kits come in like basically every shape and character you can think of, but we’re crazy for this Space themed glow-in-the-dark kit. You can make up to 9 out of this world space themed projects using 2000 beads. Follow the ideas listed inside to make a UFO, shooting star, and more OR just use the beads to come up with your own ideas on the included pegboards. Grab a parent to help you iron your designs, let them cool, and voila! You’re done. Perler projects are always super easy to do and there’s barely any cleanup! Pro Tip: Loop your creations onto a keychain or stick a magnet on the back for maximum displayability! Space not your style? Pick up a Food themed kit, Minion kit, or Jewelry kit instead! You do you! Now that you’re a DIY guru, try these other crafts to keep that artistic spirit alive!